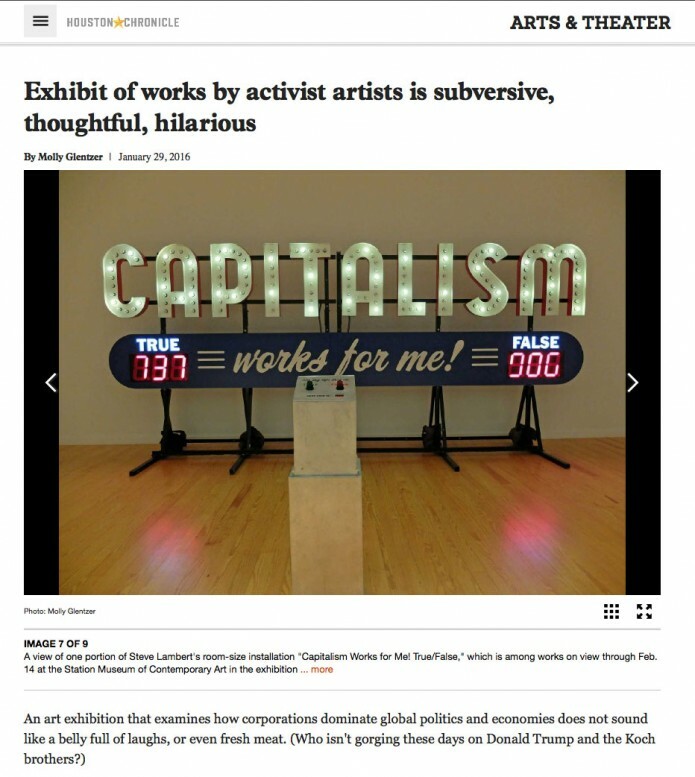 Molly Glentzer reviewed the Corpocracy Show at the Station Museum, which included my work, Capitalism Works For Me! True/False. Steve Lambert’s jaunty installation “Capitalism Works For Me! True/False” may be the show’s most provocative piece because it doesn’t just rail against easy targets. With a flashing scoreboard that changes each time you punch a “True” or “False” button on an interactive machine, it reminds you that you’re an active participant in the system. You’d have to be in denial to press “False,” although that sentiment was winning the day I visited.